When I was at Gentile’s, yesterday, I saw a bunch of dried peppers hanging by the register. 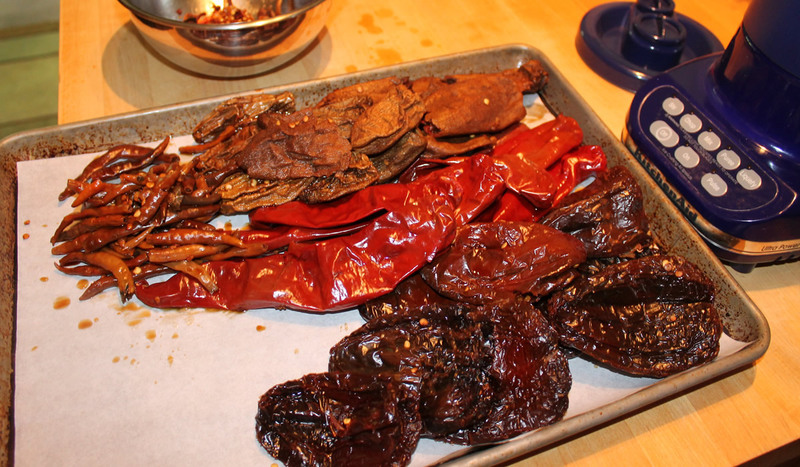 My impulse buys of the morning were Guajillo peppers, Pasilla peppers, and Chipotle peppers. 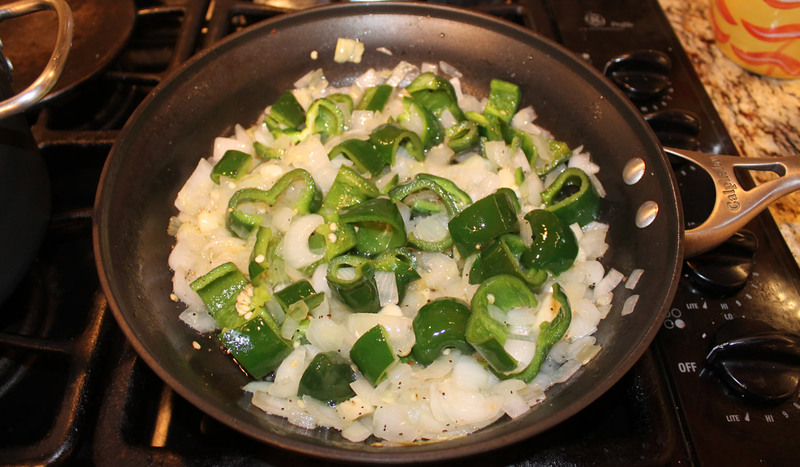 I had also picked up a couple of fresh poblanos – with no firm plan as to what to do with them. 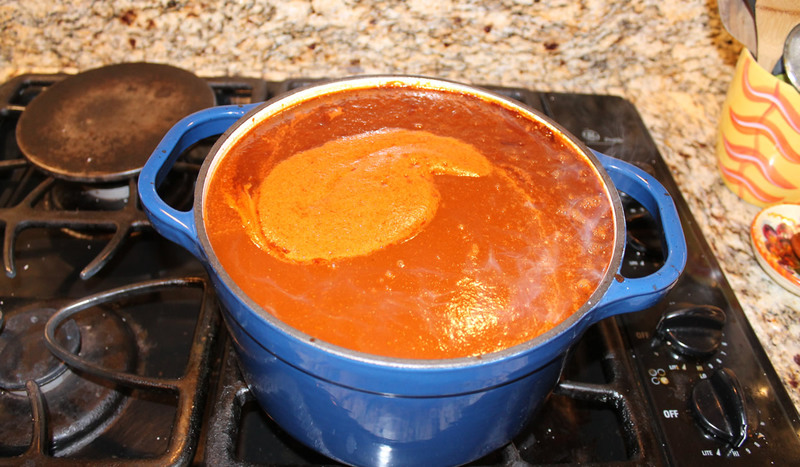 The hot sauce I made from our garden peppers last October came out great – and we’re down to the last bottle. There’s no way I can replicate the last batch – we have different peppers growing this year – so it’s time to make something new! 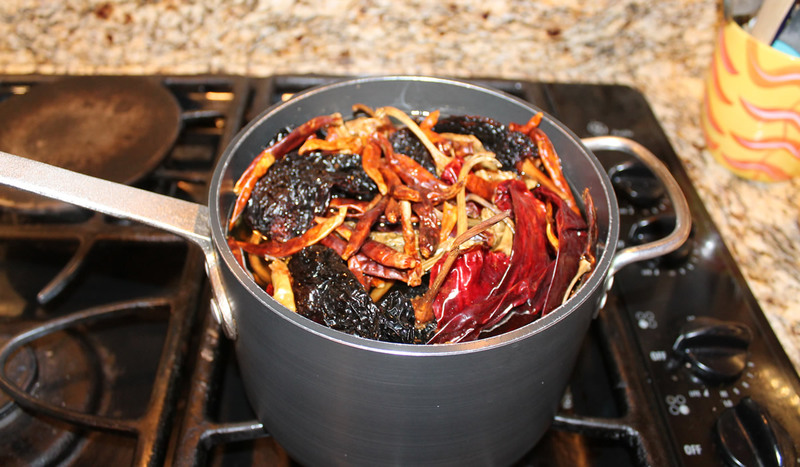 I started off by simmering the dried peppers for about 30 minutes. I was a good boy. I wore gloves! Seeds and all went into the blender, and then I strained everything into a pot, using the soaking water to thin. I added about a cup of tequilla, 2 cups of vinegar, a cup of sugar, a hefty amount of oregano, and salt and pepper, and let it come to a boil and then boiled it for 10 minutes. Meanwhile, I had my bottles boiling away on another burner. I filled the hot bottles, capped them, sealed them, and labelled them. We’re set until the summer peppers are ready!